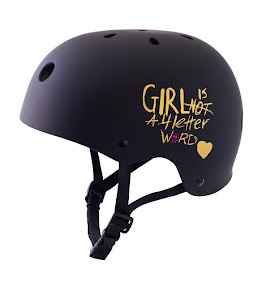 Girl is NOT a 4 Letter Word: The new Dusters x Girl is Not a 4 Letter Word Board is Out! 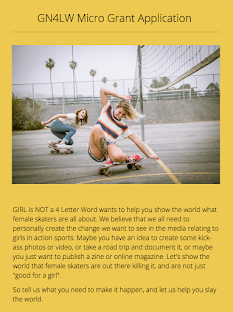 The new Dusters x Girl is Not a 4 Letter Word Board is Out! Check out Girl is NOT a 4 Letter Word brand ambassador Elise Crigar doing a hand down FS Rock & Roll while riding our new "It's Not About Pretty" cruiser board. This rad board is shaped just like the old school pool boards our founder, Cindy Whitehead, used to ride back in the day. Dusters California really helped us take this new board to the extreme in both performance and design - while it's made for cruising, you may find yourself doing some soul skating right into the snake run or bowls at your local skatepark. With it's custom leopard grip tape, metallic gold print and rails, slant 5.0 trucks in gold, 1/8" riser pads and 62mm x 31mm 83A wheels and punk style artwork by Cindy Whitehead, this new board is pretty sweet. 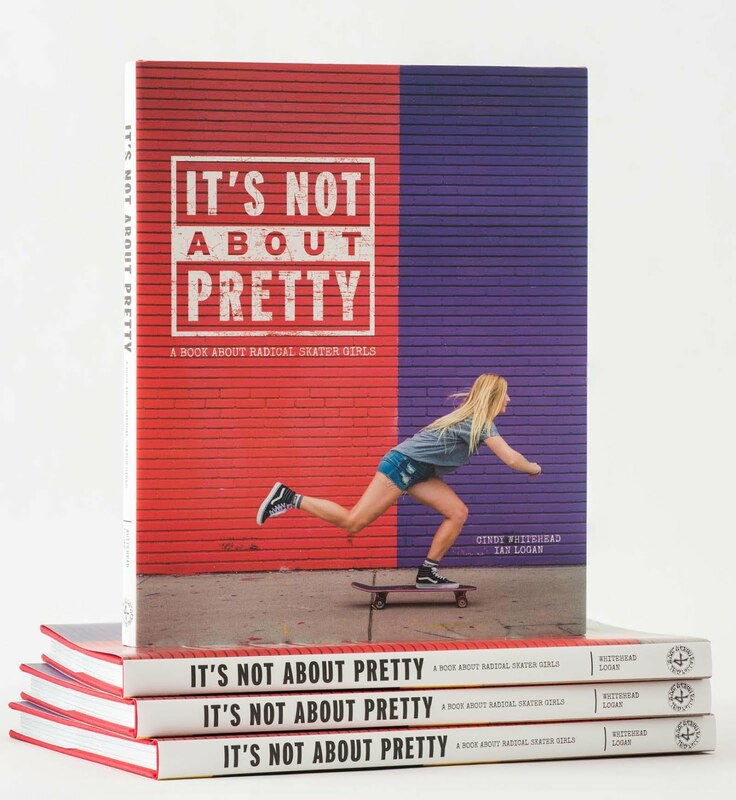 This time we are giving a portion of the sales from each board sold back to Exposure Skate, a 501C3 non-profit that helps girls all over the world in skateboarding, and we are stoked on the work they do. So get out and shred - because "It's Not About Pretty" - it's about being RAD. 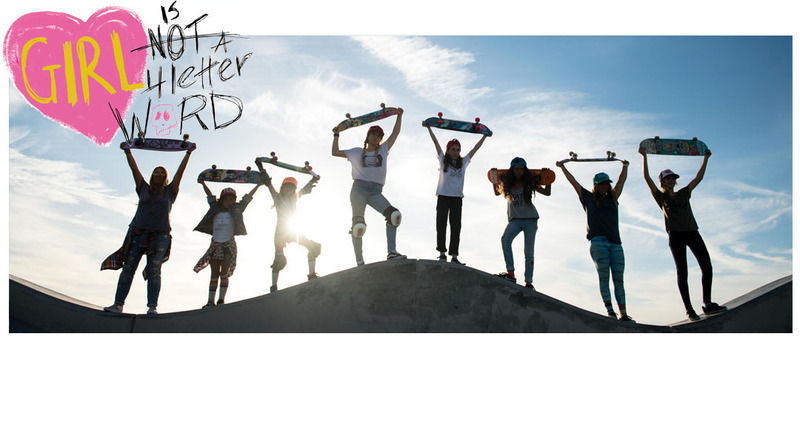 You can get the Dusters x Girl is NOT a 4 Letter Word "INAP" board right now at Warehouse Skateboards - they even have FREE shipping!